Lieutenant General Ranbir Singh, PVSM, AVSM, YSM, SM, DCOAS (IS&T), on promotion, took over as the GOC-in-C Northern Command, in Uddhampur, on June 1, 2018. 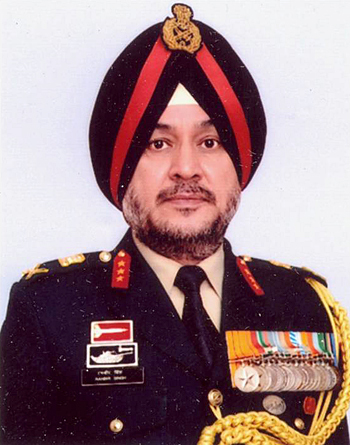 Lieutenant General Ranbir Singh, was commissioned in 9th Battalion the Dogra Regiment on December 13, 1980. He is an alumni of Sainik School, Kapurthala and a graduate of the National Defence Academy, Khadakwasala. The officer has held varied Command, Instructional and Staff appointments. His Command assignments include Commanding Officer of 9th Battalion the Dogra Regiment, Commander of 181 Mountain Brigade in Counter Insurgency Operations in the North East, General Officer Commanding 33 Armoured Division and General Officer Commanding Strike1. Chief amongst his staff appointments have been the Staff Officer of UN Peace Keeping Assignment Mission at Rwanda, Colonel General Staff in the Faculty of Studies in Army War College, Chief Operations Officer of the United Nations Mission at Sudan. He has served as Director, Deputy Director General (A), Additional Director General (A) and Director General of Military Operations at the Military Operations Directorate in Army HQ. 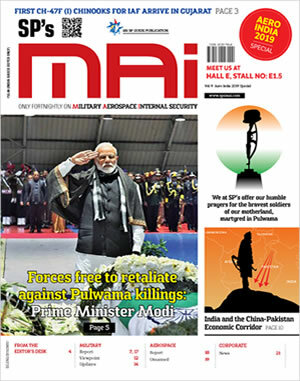 His instructional appointments include tenures at National Defence Academy, Khadakwasala and the Counter Insurgency & Jungle Warfare School, Vairengte. His civil qualifications include M.Sc. from Defence Services Staff College, Wellington; M.Phil in Defence and Management Studies from Army War College, Mhow; M Phil in Defence and Strategic Studies from National Defence College, New Delhi, and MA from King's College London while he was attending the prestigious Royal College of Defence Studies course in United Kingdom. The officer is a recipient of PVSM, Bar to AVSM, SM, COAS and Eastern Army Commander's Commendation Card. He is the Colonel of the Dogra Regiment and Dogra Scouts.